Home » What Did You Ask at School Today? This insightful and well-researched book is for teachers and educators, as well as anyone interacting closely with children. Applying frontline research in child psychology, the author calls for a dramatic change in approach towards school teaching. The skill of being able to ask the 'right questions,' is far more important than giving the right answers, says Mukunda, and urges teachers to adopt good teaching practices and an open mind towards the learning process of a child. 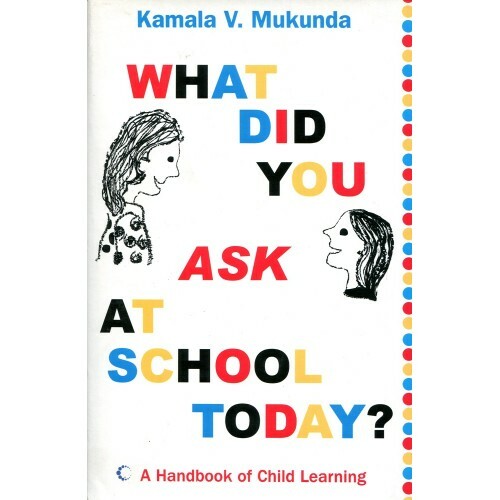 Using a step-by-step approach, giving varied examples from school situations around the world, the book unravels interesting questions on learning, memory, intelligence, child development and emotional health. A great read for educators, or anyone that wants to make a better connection with children.